Flagged differences or identified issues are addressed by the system in a systematic and auditable manner, which can be done at the branch or centrally. Corrective transactions are created for automatic or manual posting. joono is i-design’s groundbreaking, end-to-end software solution that enables you to take full control of your digital customer engagement strategy and places the ATM at the heart of your multi-channel marketing mix. joono enables seamless multi-channel customer engagement across digital channels (including mobile and internet), by providing a single, central interface that delivers and manages all your end-point communications, seamlessly and easily. Mellon offers ACG’s most sophisticated anti-skimming device in the market. Dual Action Protection: Detection & Jamming. The only stand-alone solution with photo-sensing detection technology (dual sensors). The dual sensors detect foreign objects, sense light, reflection and movement and help with the self-calibration needed to avoid false alarms commonly associated with Electro-Magnetic sensors that pick up disturbances from cell phones, jewelry & other metal objects. ECS4-in-1 runs a 5-Cycle verification process to determine the presence of a potential skimmer. Mellon has partnered with MIB to offer financial institutions innovative solutions to prevent attacks against the ATMs with the introduction of explosive material through the banknotes presentation area. SID (Security Interlock Device) is an anti-burglar device managed by an electronic logic that interacts with the ATM and supports in security each operation of banknotes distribution. 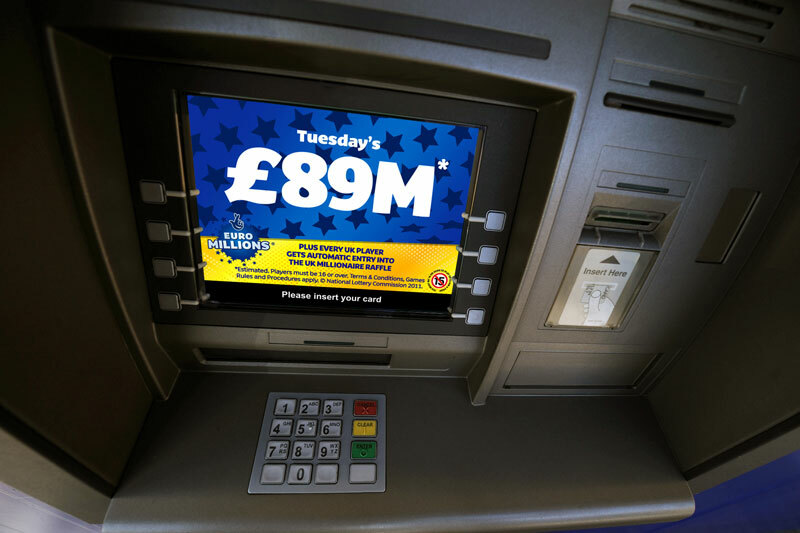 The system enables a real physical interlock, closing the safe behind the presenter during banknotes transit. SID allows the opening of the shutter, to the client side, after checking the affected area. In addition, SID protects the passage to inside the safe even if the thieves use cloned cards. The device SPP - Security Push Plate was developed to counter attacks conducted with solid explosives, which were introduced in the safe of the ATM through the banknotes presentation area. In case of forcing or not assistance of the servo-motor, the thrust on the push plate activates a block in the access to the safe area of banknotes presentation. AGS (Anti Gas System) is a security device against attacks to ATM with free gas. The device activates the gas before the quantity inserted becomes deflagrating. A pressure sensor detects variation inside the safe and in case of detection, it activates a flame inhibitor module, during programmable time bands. SecurBancomat is an integrated system of banknotes neutralization for ATMs (IBNS – Intelligent Banknotes Neutralization System), which is a deterrent against burglary attempts. In case of attack to the ATM, SecurBancomat stains, with indelible ink, banknotes contained in the cassettes, making them unusable. Checker ATM Security from GMV is a world-class cybersecurity product specifically designed for ATMs and Kiosks. Checker will help you protect your ATMs from logical fraud while meeting applicable PCI-DSS requirements quickly and effectively, even for unsupported versions of the ATM Operating System. Cybersecurity product specifically designed for financial self-service networks. It provides a highly secure software environment for multivendor ATM estates ranging to thousands of ATMs with minimum impact in ATM operations. Preserves the integrity of the Operating System, ensures rigorous process authentication and authorization, rejects unauthorized network connections, restricts access to sensitive information, controls unauthorized devices from being connected to the ATM and blocks any malicious software, among many other features. Includes a dashboard to present cybersecurity-related status for large networks in a simple way, features centralized monitoring and management functionalities. Currently checker ATM Security protects over 130,000 ATMs for more than 40 customers in more than 30 countries worldwide. It runs smoothly in multivendor networks with over 10,000 ATMs and has been proven in ATMs from all major manufacturers for more than ten years.